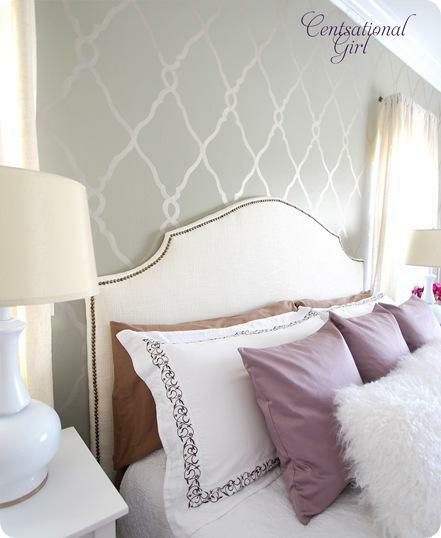 Not sure what it is about them, but I've been obsessed with accent walls lately. I feel like I've been seeing them everywhere and it may be a sign that I need to have one in my house too. However, in all honestly, the one thing that always intimidates me is the intricate pattern and the time needed to complete them. I adore them so much, but I don't know if I would be able to really pull it off to be honest. What are you currently obsessing over? I really love the design on the 3rd picture... but then again I really like that whole room! How about trying it on a smaller wall?